ATLANTIC CITY, N.J. — A contestant in the Miss America pageant says President Trump "has caused a lot of division" in the nation. Madeline Collins, Miss West Virginia, was asked an onstage question Friday night about what she feels is the most serious issue facing the nation. She replied "Donald Trump is the biggest issue our country faces. Unfortunately he has caused a lot of division in our country." The interview responses were limited to 20 seconds and Collins did not go into additional detail. The Miss America Organization rejected a request from The Associated Press to make Collins available for an interview after Friday night's competition had ended. She did not win the interview contest. That honor went to Miss Massachusetts Gabriela Taveras, whose question dealt with how Americans traveling abroad should interact with people in other countries. She said it is important to let people in other nations know that, "We as Americans are supporting them and that we are there to help them." The onstage interview has replaced the swimsuit competition in this year's pageant, a change that has created controversy among those who feel the pageant needed to be modernized, and those who feel an integral part of the pageant is being sacrificed. 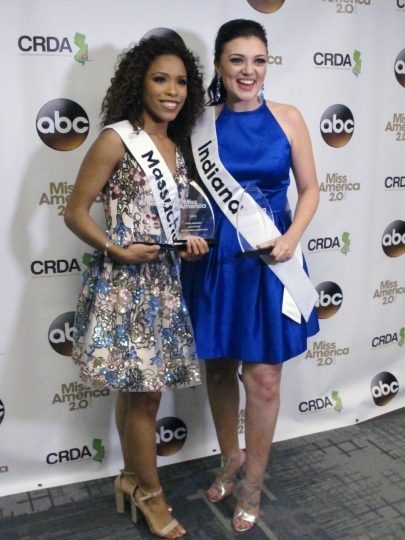 Friday marked the third and final night of preliminary competition in the Miss America competition. 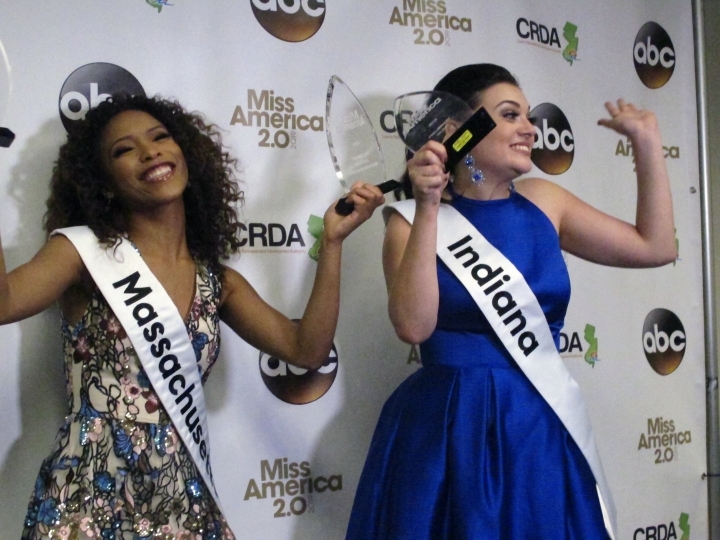 Also on Friday night, Miss Indiana Lydia Tremaine won the talent portion for singing Frank Sinatra's "That's Life." She said she likes the lyrics about getting knocked down, picking yourself up and getting back in the race. "I was told I could never be Miss America because of my size," she said, adding she is comfortable with who she is. Taveras said she has traveled to many countries and enjoys getting to know people of other cultures. 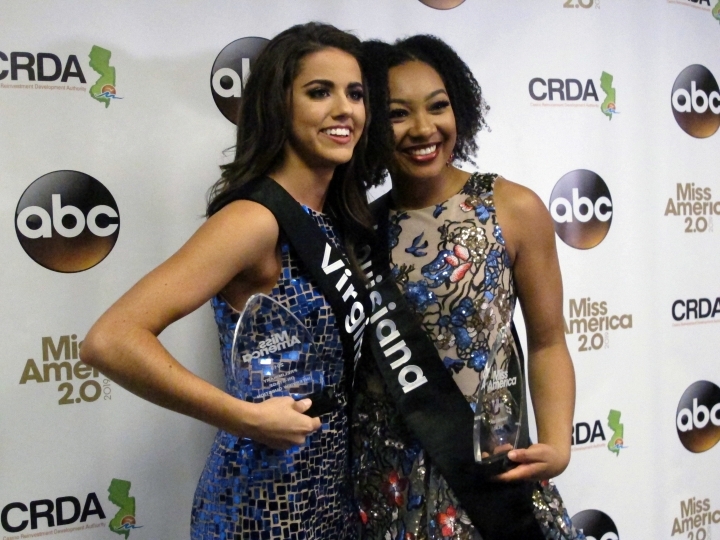 The next Miss America will be crowned Sunday night in the nationally televised finale from Atlantic City. During the first two nights of competition, some of the onstage interview questions have touched on hot button issues, including NFL national anthem protests. 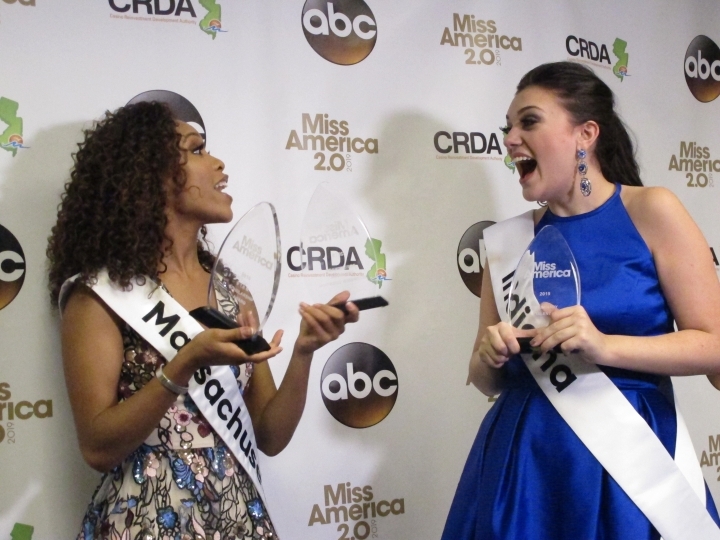 A question on the propriety of those protests helped propel Miss Virginia Emili McPhail to a preliminary win Thursday night. She told judges players have the right to protest by kneeling, noting that the real issue is police brutality. In the talent competition, Miss Louisiana Holli' Conway won for a vocal performance, singing Fantasia's "I Believe."